Bone is living tissue and is constantly being absorbed and replaced all over our body. When the creation of new bone doesn’t keep up with the removal of old bone, we ultimately end up with weakened and fragile bones. This is called Osteoporosis. Osteoporosis is a metabolic disorder that results in decreased bone mineral density and damage to the bone structure that significantly increases one’s risk of fracture. The exact cause of osteoporosis is unknown, but many contributory factors exist such as estrogen or calcium deficiency, long term medication use, genetics, malnutrition, sedentary lifestyle, alcoholism, and excessive tobacco use. The disorder is much more common in women, particularly postmenopausal women over the age of 50. There are typically no signs and symptoms in the earlier stages of osteoporosis. Most people learn they have the disease after they have sustained a fracture. 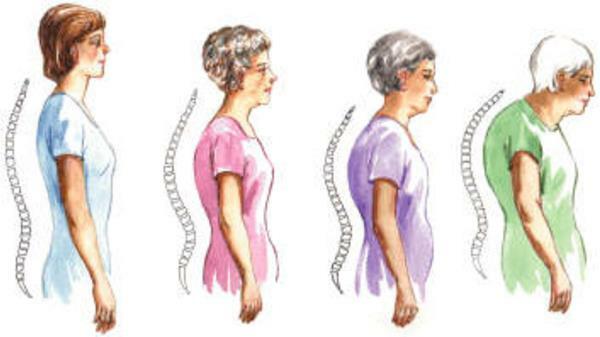 The most common presenting features of osteoporosis are loss of height, postural changes (stooped posture), back pain and fractures. Fractures most often occur in the hips, ribs, wrists and spine. They can be “silent,” meaning occurring without injury or fall and can present as “compression fractures” in the spine. Compression fractures are cracks in the vertebrae of the spine that occur as a result of normal compression forces in the spine from every day movement (walking, bending, etc.). These fractures are often very painful and localized to the spine; however, pain can also radiate to the front or sides of the abdomen and is often aggravated by prolonged sitting, bending, sit-to-stand, or holding ones breathe. There is no cure for osteoporosis, but prevention and early intervention is essential for people at risk. By minimizing modifiable risk factors, people at high risk for developing osteoporosis may be able to achieve higher bone mass in the hopes of delaying or preventing osteoporosis. Osteoporosis intervention should address the underlying risk factors (malnutrition, calcium deficiency, smoking, etc.) and physical activity and exercise. Regular exercise has been shown to have a positive effect on bone mass levels. Types of exercise important for building and maintaining bone density are weight-bearing and muscle-strengthening exercises. 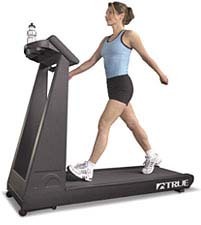 Weight-bearing exercises (walking, jogging, stair-climber, dancing, etc.) should be done a minimum of 30 minutes a day 3-5 times a week. Strengthening exercises with weights should also be completed 2-3 times a week. Posture and lifting/carrying techniques should also be addressed as poor posture and lifting generates compression forces in the spine and increases the risk of spine fractures. If you are interested in learning more about ways to improve bone health, visit your local physiotherapist today! We offer gift certificates for both Physiotherapy and Massage Therapy! With the holiday season quickly approaching us, consider giving a loved one the gift of health and wellness!